We hope you enjoy this collection of the best nature study supplies for kids. Studying nature is a great way to learn about the world we live in. When children are surrounded by nature they can’t help but apply the scientific method. 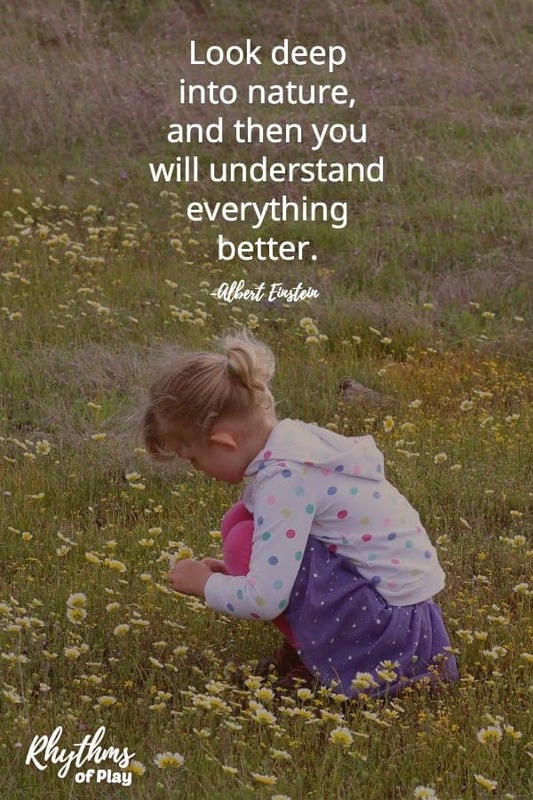 They begin to ask questions, observe, experiment, and learn – naturally. 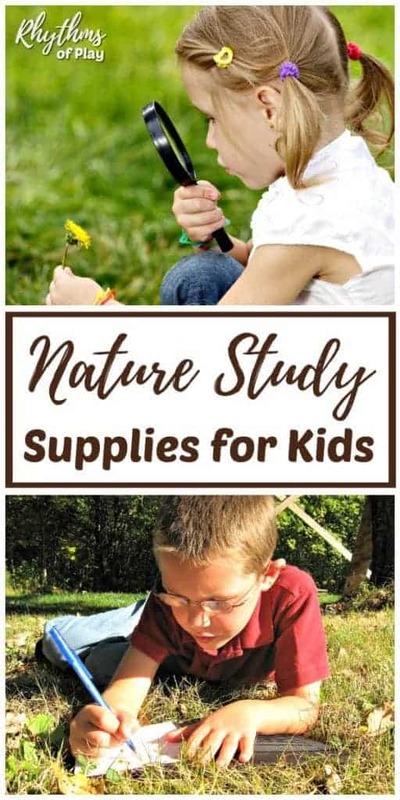 Make sure you have these nature study supplies around for your kids to use on their explorations into nature! I can remember pouring over field guides when I was a small child even before I learned to read. 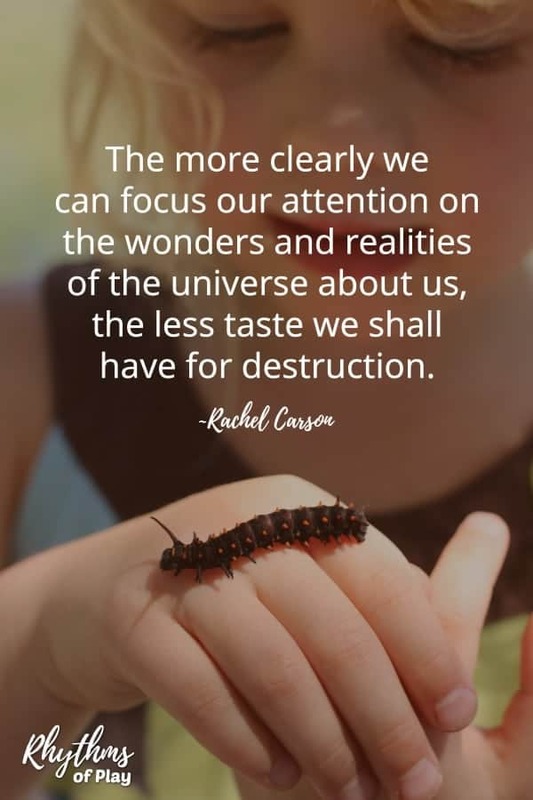 I can recall looking at all of the pictures of birds, insects, plants, and all of the other beautiful pictures and diagrams with keen interest. There are so many amazing field guides available for kids of all ages these days. I recommend going to your local library and/or bookstore to look at the ones that will work best for your needs. Below you will find a few options to consider. 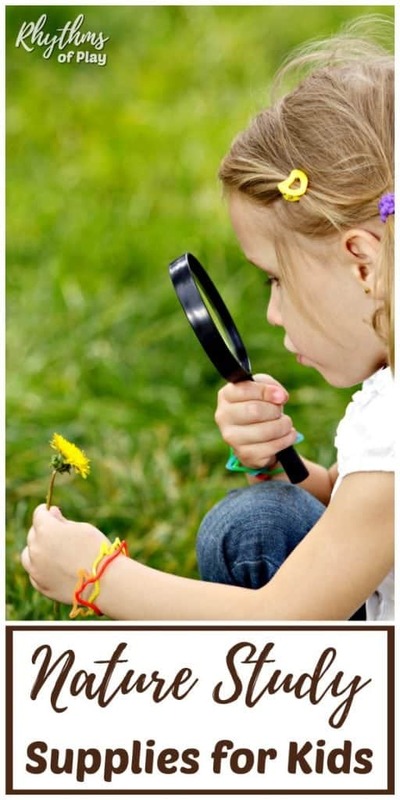 A magnifying glass is essential for taking a closer look at things of interest such as rocks, flowers, and insects. My daughter loves this magnifying glass. It has an oversized 5-inch acrylic lens that really works! Binoculars are great for observing the world around you and getting a closer look at things at a distance. As professional ocean lifeguards, my husband and I know an excellent pair of bino’s when we see them. We got the waterproof durable pair listed below for our daughter. She loves them and takes them with her everywhere. Learning how to read and use a compass is a necessary skill for budding nature explorers. As parents, we want to know that they will always be able to find their way home. This is a simple and inexpensive compass perfect for kids. A Nature Journal is a place for you and your children to grow your thoughts, feelings, ideas, observations, experiences, and relationship with the natural world. You can also use it to record outdoor activities that you complete each week. For more information check out the article below. A measuring tape is a necessary piece of equipment for any explorer. I can’t tell you how many times we have pulled ours out to measure something and then note it in our nature journals. We have found that soft sewing tape measures are the easiest to use in nature. There is nothing more intimate than sitting down to sketch something of interest in your nature journal. 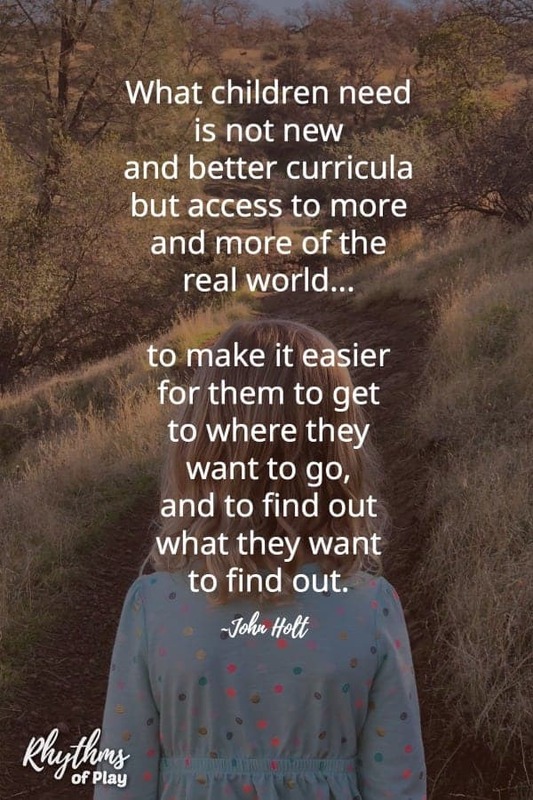 This is especially true for young explorers that have not yet learned to read and write. They can color their experience instead. Nature journals become works of art to cherish for years to come when quality art supplies are included. Stockmar Beeswax Stick Crayons – You have never used a crayon until you have experienced the smooth vibrant quality of these 100% beeswax crayons. We keep these in our field bag ready to go. They are also available in block form and in smaller and larger sets. Triangular Giant Colored Pencils – These are the colored pencils we use. Assorted Water Colors Field Sketch Set with Brush – A fantastic portable set of watercolors. A camera is essential for both taking photos of interesting discoveries, and capturing memories along the way. I recommend giving your child an older digital camera that you no longer use. If you don’t have one, consider one of the camera’s found below. Children’s Camera – This inexpensive camera is perfect for young explorers. We are big fans of using a bead organizer for collecting specimens. It’s re-useable and works great because it keeps items from getting smashed. We also carry around a few bags of various kinds for all of those things that just don’t fit or otherwise won’t work. We have also used pencil cases of various kinds with great success. Below you will find a few other nature study materials to consider throwing in your field bag or backpack for the next time you head out into the great outdoors on an adventure into the wilderness. And of course, please don’t forget water and a snack if you plan to go further than your own backyard. Young explorers will need these nature study materials to begin their explorations. Don’t leave home without them… you never know when you might run into something to explore and learn about. For more outside activities or kids activities click on the links. Learn more about Rhythms of Play HERE! Such a great list! I’m a newbie to the Top Ten List Family but I love it! You have a great site and this list is wonderful! My kids love bringing their magnifying glasses and clipboards out with them when we go for a ramble in the woods. It makes them feel like proper little explorers and getting hands on with nature is a great way to learn. I can just see your kids happily rambling about in the woods with their magnifying glasses and clipboards – haha! They are such cute little scientists aren’t they? I agree that getting hands on in nature is a great way to learn, and it’s fun too! I love this list so much! Definitely would not have thought of a magnifying glass – I bet my son would love that. Keeping it in mind! My kids tote all of this to their grandparent’s house out in the woods. They go on nature walks, and their Grandpa (who was a senior biologist for the DNR) teaches them all kinds of stuff. So grateful he can do that because I am clueless! I love this post! Such great ideas and resources. Thanks for sharing. This is a fantastic resource. Thank you!